The application is an online map of Timisoara that allows anyone to discover how the streets of Timisoara were renamed over the last century. With a simple click on the desired street, you can see the key names received in different years, as recorded in the archives of the town hall. For simplicity, street names can be searched after the current, or selected from a list. 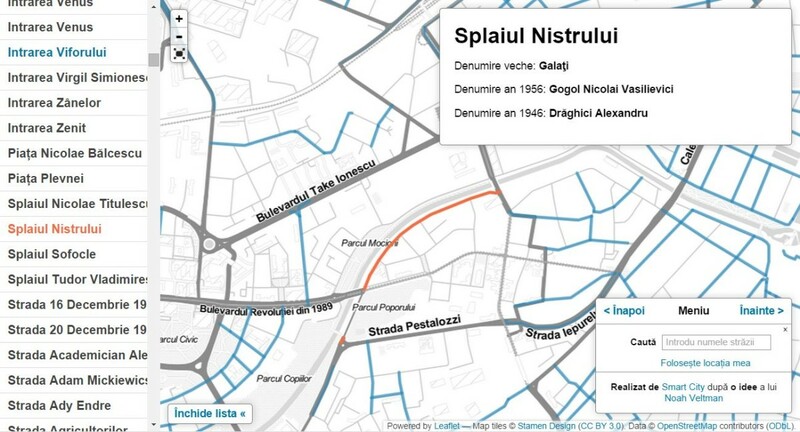 The old names of the streets are taken from a set of open data published by Timisoara City Hall.